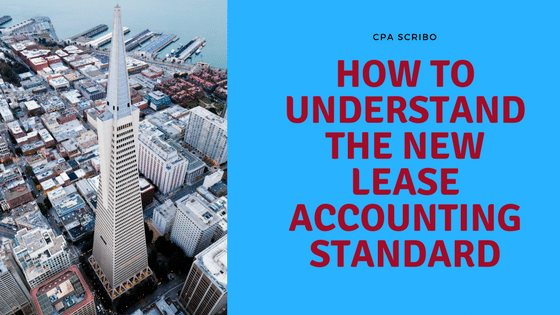 Do you need help in understanding the new lease accounting standard? This article provides you with a basic understanding of the new guidance. The existing lease guidance (FAS 13; now ASC 840) came out in 1976. In that standard, FASB defines capital leases with criteria such as minimum lease payments of at least 90% of fair market value or lease periods of at least 75% of the economic life of the asset. Given the bright-line criteria, lessees have asked lessors to construct leases so that they are considered operating and not capital. Why? As an example under present lease standards, a company leases a building with an economic life of 40 years and desires a lease term of 28 years. Why? Well, 75% of 40 years is 30. Since the lease is less than 30 years, it is an operating lease—one not capitalized, one not recorded on the balance sheet. What happens if the lease term is 30 years? Then it is a capital lease, and the company records the building and the related debt on the balance sheet. The lessee is fine with the recording of the asset (the building) but wants to keep the debt off the books. However, if a capital lease criterion is triggered, the asset and the debt are recorded on the balance sheet. The New Trigger: Is This a Contract? Under existing lease accounting rules, bright-line criteria are used to make the capitalization decision, for example, lease terms of 75% or more of the economic life or lease payments of 90% or more of the fair market value. But the bright-line criteria is being replaced with a question: Is it a contract? If the lease is a contract, it goes on the balance sheet. If it is not a contract, it does not go on the balance sheet. Result: Most operating leases will now be recorded on the balance sheet at the inception of the lease. So what is the accounting entry to record leases under the new standard? A right-of-use asset is recorded on the balance sheet at the amount of the lease liability. Also, a lease liability is concurrently recorded. Is there any theory that supports this type of accounting? Yes, in FASB’s conceptual statements. FASB Concept Statement 6 says that assets are probable future economic benefits obtained or controlled by an entity as a result of past transactions or events. Liabilities are probable future sacrifices of economic benefits arising from present obligations to transfer assets or provide services to other entities in the future as a result of past transactions or events. Under the new lease standard, the right-of-use asset and the lease liability are congruent with the definitions in Concept Statement 6. So, if a company leases a truck for three years and the economic life of the vehicle is seven years, it has obtained “probable future economic benefits…as a result of past transactions.” And the company has “probable future sacrifices of economic benefits” arising from the lease obligation. Therefore, the lease should be booked on the balance sheet. ASC 842 (ASU 2016-02), Leases, replaces ASC 840, Leases. For public entities, the standard is effective for fiscal years beginning after December 15, 2018, including interim periods within those years. For all other entities, the standard is effective for fiscal years beginning after December 15, 2019, and interim periods within fiscal years beginning after December 15, 2020. Early implementation is permissible for all entities. If you’re an auditor, check out my post Auditing Debt: The Why and How Guide.